GAINESVILLE, Fla. – Mike Janis’ incredible 2018 E3 Spark Plugs NHRA Pro Mod Drag Racing Series presented by J&A Service season ended with a dream result: his first NHRA Pro Mod world championship. As satisfying as that was, Janis insists he is nowhere near finished heading into 2019. 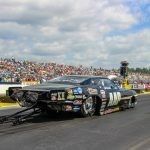 Repeating as champ is at the forefront of his goals, as is winning this weekend at Gainesville Raceway as part of the 50th annual AMALIE Motor Oil Gatornationals. Janis came close in 2018, losing in the finals, and the defending world champ hopes to finish the job this year in his Al-Anabi Performance/Mike Janis Superchargers ’69 Camaro. The race, which is presented by Hoosier Tire and Jerry Bickel Race Cars, is the first of 12 events during the 2019 E3 Spark Plugs NHRA Pro Mod Drag Racing Series season and will be shown on Fox Sports 1 (FS1) and Fox Sports 2 (FS2). Three-time world champion Rickie Smith is the defending winner at the event, knocking off Janis in the final round. This year, Janis hopes to change that result, but it won’t be easy. The class is as loaded as ever, with nearly 30 standout competitors hoping for glory at the 50th Gatornationals. For the second straight year, Janis competed overseas during the winter, an approach that paid major dividends last year. The veteran hit the ground running in 2018, advancing to two final rounds in the first five races and winning in Richmond. This off-season went just as well, with Janis running an incredible 5.65 at 253 mph while in Qatar, and he is hopeful that translates into success this weekend. If anything, though, Janis said last year’s championship has only motivated his team more. He’ll have to be in top form in Gainesville to get past the likes of Smith, Jose Gonzalez, Mike Castellana, Rick Hord, Chad Green and Stevie Jackson, but the bigger the challenge the more Janis likes to compete. 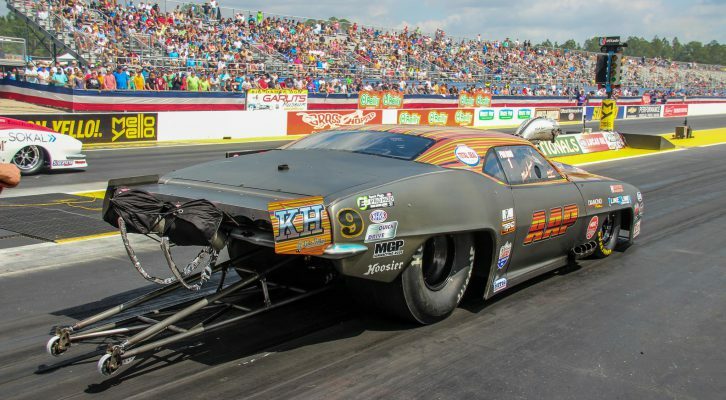 Hoosier Tires and Jerry Bickel Race Cars are the co-presenting sponsors for the E3 Spark Plugs NHRA Pro Mod Drag Racing Series opener in Gainesville, as the class opens its exciting 2019 campaign. Featuring the world’s fastest doorslammer race cars, the E3 Spark Plugs NHRA Pro Mod Drag Racing Series presented by J&A Service offers something for every kind of hot-rodding enthusiast. The class is highlighted by historic muscle cars, like ’67 Mustangs, ’68 Firebirds and ’69 Camaros, as well as a variety of late model American muscle cars. Hoosier Tire and Jerry Bickel Race Cars are both prominent standouts in the Pro Mod class. Hoosier Racing Tire is the largest race tire manufacturer in the world, producing over 1000 different types of race tires, making it a dependable choice for drivers in the highly-competitive Pro Mod ranks. Jerry Bickel Race Cars has been a top choice for many championship-caliber drivers in the class, offering a one-stop shop and an extensive variety of services. 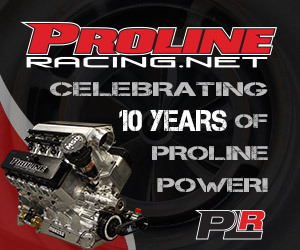 Its strong track record in the sport and Pro Mod class has made it a trusted name for drivers all over the world. The first of four E3 Spark Plugs NHRA Pro Mod Drag Racing Series presented by J&A Service qualifying sessions takes place at 12:30 p.m. and 4:00 p.m. on Friday, and the final two rounds of qualifying take place on Saturday at 11:15 a.m. and 2:50 p.m. Final eliminations are scheduled for 12:35 p.m. on Sunday. Known as “The One Stop Chassis Stop,” Jerry Bickel Race Cars offers an extensive variety of services to racers looking to improve race cars. The Jerry Bickel Race Cars facility is located in Moscow Mills, MO., and houses just about every race part and component a driver could dream of, along with a temperature-controlled manufacturing area and a temperature-controlled paint booth. 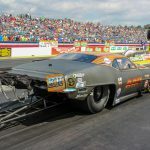 Jerry Bickel Race Cars Inc. prides itself on its commitment to customer satisfaction, also building cars for many top drivers in the E3 Spark Plugs NHRA Pro Mod Drag Racing Series presented by J&A Service. For more information on Jerry Bickel Race Cars, please visit www.JerryBickel.com.